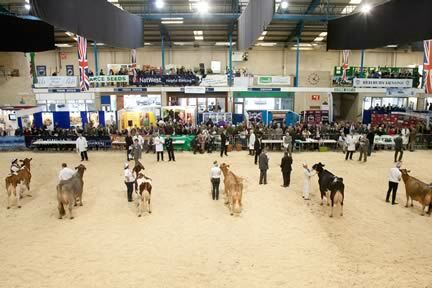 The Dairy Farm Vet of the Future award was launched by the Royal Bath & West of England Society, in association with the Royal Veterinary College, London. It was devised to recognise the best veterinary students, who play such an important role in the industry later in life. All three finalists will be interviewed by a panel comprising vets, farmers, and a representative from sponsor BOCM Pauls. “We are looking for practicality, originality and that little of spark,” says Mr Clarke. The winner will receive £750 and a trophy, with each runner up getting £250. John Fishwick, head of production and population health at the Royal Veterinary College, was one of the judges involved in selecting the final three students. “The College is delighted to be involved with this very prestigious award, which does so much to bring the farm veterinary surgeons of the future together with the farmers themselves,” he says. The three finalists are: Peter Siviter, who examined the different immune responses of cattle breeds; Rebecca Inman, who considered the effect of sole ulcers and white line disease on bone growth in dairy cows’ feet; and Chloe Garnett, who investigated the reliability of heart girth measurements for predicting body weight in pre-weaned dairy calves. All three students will be invited to the Dairy Industry Dinner on the eve of the Dairy Show, and the award will be presented at the show on 2 October.